This is the perfect recipe for a hot day when no one feels like cooking. If you have leftover salads, even simpler. 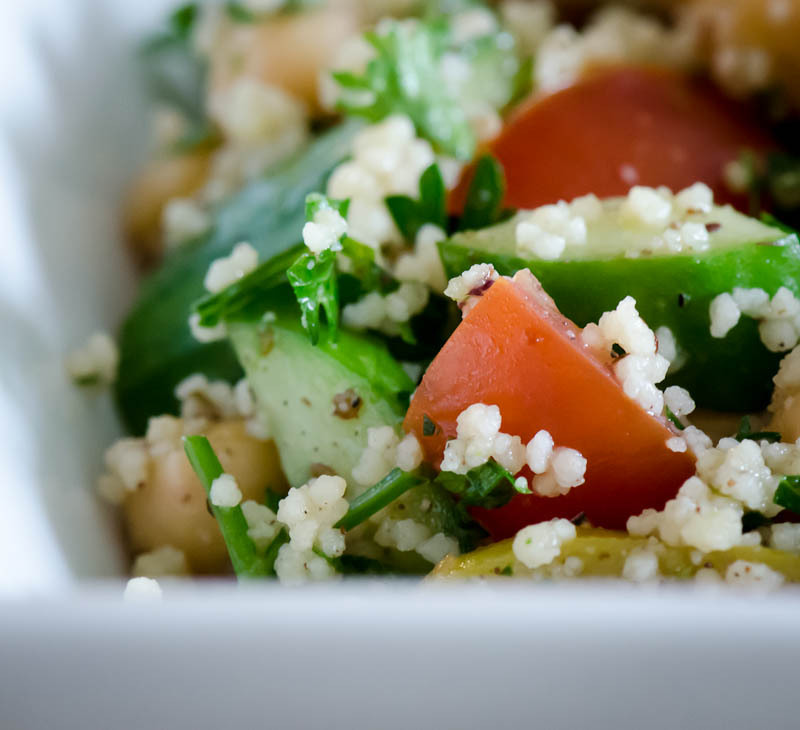 Add taboulé to any combination vegetables and add chick peas or anything you like, you get an instant tasty, refreshing and healthy meal. Store-bought and food court taboulé tend to contain a lot of oil and have sometimes been prepared days in advance. The best part about tabloulé is the freshness that comes from the parsley. We recommend making your own. We do add some oil to ours but just a few spoonfuls. The lemon juice also gives it a kick. Adding too much couscous will take away from the fresh flavors.